I am currently participating in two MOOCs – the #openedMOOC run by David Wiley and George Siemens, and this one – Introduction to Social Research Methods, run by Jeremy Knox and his team at Edinburgh University. I have made a late start on both MOOCs because I was away for the first half of the week. I am hoping that working on two MOOCs won’t be too ambitious. What kind of topics are you interested in researching? Most of my research to date has centred on learners’ experiences in connectivist massive open online courses, or open online learning environments. I have been particularly interested in how the espoused principles for learning in these environments – autonomy, diversity, openness and connectedness – are experienced by participants. I have also been interested in how learning emerges in such environments which can be experienced as chaotic. Whilst there is now a lot of published research on MOOC learner experiences, we still don’t know enough about how these environments, in which learners determine their own learning paths, impact on their identity and development as learners. What is the quality of learning that occurs? How would we define or recognise that? I am also interested in the role of the teacher in these environments. How do these environments impact on the role of the teacher? What initial research questions might be starting to emerge for you? Currently I am working collaboratively on a position paper. Does a position paper count as research? It feels like research to me – research of the literature and the position that others have taken in relation to the research question that interests us. So far we have been working on this paper for a year and the direction of the paper continues to shift as we become exposed to new literature. I like the fact that this question refers to research questions starting to emerge. For nearly all my research the question has initially been very vague – more like a pique of interest or a sense that something has happened in the learning environment that is not fully understood. And sometimes a more interesting question arises when the data starts to be analysed. This has happened to me more than once. Currently since I am participating in two MOOCs, I am already intrigued by how they differ from each other and why. Whether or not this will lead to any interesting questions I don’t know as yet, but I am keeping an open mind. What are you interested in researching – people, groups, communities, documents, images, organisations? I like working with people. I am fascinated by how people behave in online environments and I am particularly interested in more vulnerable learners – those for whom the environment is not easy, those who can easily get shouted down by the louder voices. Do you have any initial ideas for the kinds of methods that might help you to gather useful knowledge in your area of interest? To date I have always preferred a qualitative approach. I like talking to people or reading what they write. I like to see alternative perspectives emerge. I agree with Stephen Downes (2014), when he says that lots of research ‘sees what it expects to see’ and with Scott, Williams and Letherby (2014) when they say (in the Week 1 video) that we have to beware of confirmation bias. So I am interested in “speculative research approaches, which recognise the potential impact of uncertain futures on education and the need for alternative approaches to research (Ross, 2015; Ross, 2016; Wilkie, Savransky & Rosengarten, 2017).” (Mackness, 2017). How might we do things differently? What initial questions do you have about those methods? What don’t you understand yet? I have always manually coded data. 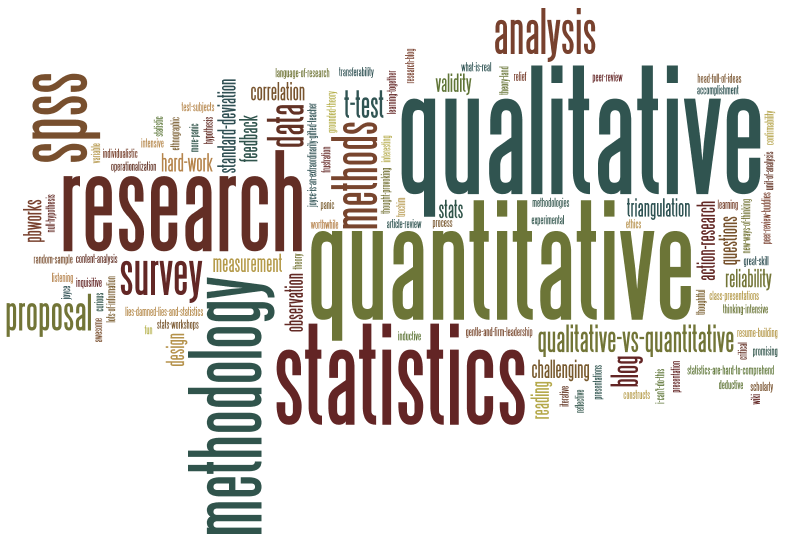 I have never used a tool like NVivo for data analysis. This is principally because I am an independent researcher, not affiliated to an institution, who doesn’t get paid to do research and these tools are not free. Having said that, I enjoy the manual data analysis, but it is very slow. It would be interesting to try out a tool like NVivo. Do you perceive any potential challenges in your initial ideas: either practical challenges, such as gaining access to the area you want to research, or the time it might take to gather data; or conceptual challenges; such as how the method you are interested in can produce ‘facts’, ‘truths’, or ‘valuable knowledge’ in your chosen area? I am not doing this course for a certificate –and I won’t be starting a research project during these 8 weeks, but I am keen to learn from others how they are approaching their research projects and I would be very willing to work with someone who would like a research partner for the duration of this course. Ross, J. (2016). Speculative method in digital education research. Learning, Media and Technology, 1–16. doi:10.1080/17439884.2016.1160927.